As already explained, the Lord in His incarnation as Vyasadeva compiled the Vedanta-sutra. Here the Lord is giving, in summary, the contents of the Vedanta-sutra. He says that the living entities, who are innumerable, can be divided into two classes—the fallible and the infallible. The living entities are eternally separated parts and parcels of the Supreme Personality of Godhead. 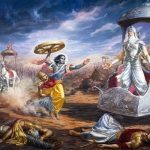 When they are in contact with the material world they are called jiva-bhuta, and the Sanskrit words given here, ksharah sarvani bhutani, mean that they are fallible. Those who are in oneness with the Supreme Personality of Godhead, however, are called infallible. Oneness does not mean that they have no individuality, but that there is no disunity. They are all agreeable to the purpose of the creation. Of course, in the spiritual world there is no such thing as creation, but since the Supreme Personality of Godhead, as stated in the Vedanta-sutra, is the source of all emanations, that conception is explained. 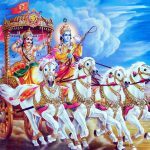 According to the statement of the Supreme Personality of Godhead, Lord Krishna, there are two classes of living entities. The Vedas give evidence of this, so there is no doubt about it. The living entities who are struggling in this world with the mind and five senses have their material bodies, which are changing. As long as a living entity is conditioned, his body changes due to contact with matter; matter is changing, so the living entity appears to be changing. But in the spiritual world the body is not made of matter; therefore there is no change. In the material world the living entity undergoes six changes—birth, growth, duration, reproduction, then dwindling and vanishing. These are the changes of the material body. But in the spiritual world the body does not change; there is no old age, there is no birth, there is no death. There all exists in oneness. 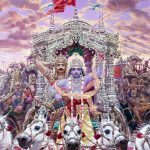 Ksharah sarvani bhutani: any living entity who has come in contact with matter, beginning from the first created being, Brahma, down to a small ant, is changing its body; therefore they are all fallible. In the spiritual world, however, they are always liberated in oneness. Because I am the knower of the Vedas, I will speak in brief the essential meaning of all the Vedas in three verses. Please listen. From these quotations, it is seen that the word aksara means brahman. Now the Lord makes clear the meaning of these two words. All the living entities are one aggregate jiva (sarvani ksarah). The collective jiva, fallen from his svarupa by beginningless ignorance and subject to karma, becomes the variety of living entities up to the moving entities like Lord Brahma. The singular number of ksarah is used to express a class. The second consciousness, aksara, is situated for all of time with is one svarupa, which does not fall. 15.16 There are, the Sastras say, ‘two kinds of Persons (Purusas)’ well known in the world — ‘the perishable and the imperishable.’ Of the two, the Persons designated by the term ‘perishable’ (Ksara) are beings conjoint with non-conscient matter of modifiable nature, from Brahma down to a blade of grass,who can be signified also by the term Jivas (individual selves). Here the term Purusa (Person) is used in singular to indicate the common single condition of being conjoined with non-conscient matter. That which is the ‘imperishable’ (Aksara) is called ‘unchanging’ (Kutastha), this is the released self, devoid of association with non-conscient matter, remaining in its own form. It is called ‘unchangeable’ inasmuch as when free from non-conscient matter, It has no specific connection with particular transformations of non-conscient matter like the bodies of Brahma etc. Here also the designation of the term in singular (as expressing a generic class) denoting the totality of liberated selves, is used on account of the single condition of dissociation from non-conscient matter. It does not mean that before this, in time without beginning, there existed but a single liberated self. So it is stated: ‘Purified by the austerity of knowledge, many have attained My state’ (4.10); and ‘They are not born at the time of creation, nor do they suffer at the time of dissolution’ (14.2). 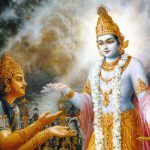 Now Lord Krishna is expounding that there are only two types of beings in all the worlds. 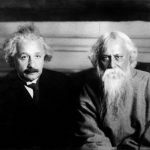 They are the perishable jivas or embodied beings and the imperishable atmas or immortal souls which is well documented in the Vedic scriptures and known by those enlightened. The perishable consists of all jivas beginning with Brahma, the demigods, humans, animals, fish all the way down to the immovable jivas in forms of trees, plants,etc. The ignorant commonly refer to the word person in respect to bodies only but this conception is not completely accurate. The word aksarah means immutable, infallible or that which is not subject to change and which does not perish when the physical body perishes and is the eternal soul. Lord Krishna explains that in all creation there are only two types of beings in existence. The ksarah or perishable and the aksarah or imperishable. The word ksarah denotes the mutable physical body which is formed by the ingestion of food and is occupied by a sentient being. Similarly the word aksarah denotes an immutable presence, eternal and immortal. Both words are used in the singular sense because they each comprise a category. All jivas or embodied beings in existence whether in physical or subtle bodies from Brahma down to a blade of grass are temporary and transitory and form the category of the perishable. The atma or immortal soul resding within the etheric heart of every jiva is infallible and eternal and it forms the category of the imperishable. 15.16 There are imau, these; dvau, two-grouped separately; purusau, persons, so called [Persons-so called only figuratively, since they are the limiting adjuncts of the supreme Person. ]; loke in the world; the ksarah, mutable-one group consists of the perishable; the other person is the aksarah, immutable, opposite of the former, the power of God called Maya, which is the seed of the origin of the person called the mutable. That which is the receptacle of the impressions of desires, actions, etc. of countless transmigrating creatures is called the immutable person. Who are those persons? The Lord Himself gives the answer: Ksarah, the mutable; consists of sarvani, all; bhutani, things, i.e. the totality of all mutable things. Kutasthah is the one existing as Maya: Kuta means a heap; kutasthah, is that which exists like a heap. Or, kuta is maya, deception, falsehood, crookedness, which are synonymous; that which exists in the diverse forms of maya etc. is the kutasthah. It is ucyate, called; the aksarah, immutable, because, owing to the countless seeds of worldly existence, it does not perish. 15.16-18 Dvav imau etc. upto Purusottamah. What has been stated in the passage ‘There are two persons in the world etc.’, is this : The body organism is made of the earth and other elements. In the world every person, unitelligent by nature, takes the body for the Self and [hence] views the Soul to be of perishing nature. Hence, the sense of duality does not come to an end with regard to the worldly persons, because of their delusion. But I am (the I-consciousness is) the One favouring all, and by cutting the daulity-knot I am to be realised as the One pervading all. (I) have transcended the perishing : Since the elements are insentient. (I) have transcended the nonperishing : Since the omnipresence [of the Self] is cut off (not comprehended) when the Self is not properly realised. In the world and in the Veda too I am acclaimed as the Highest of Persons : The Self same Supreme Self, admitting no duality, is described in this manner with the sentences ‘He is he Highest Person’ and the like. dvau — two; imau — these; puru?au — living entities; loke — in the world; k?ara? — fallible; ca — and; ak?ara? — infallible; eva — certainly; ca — and; k?ara? — fallible; sarva?i — all; bhutani — living entities; ku?a-stha? — in oneness; ak?ara? — infallible; ucyate — is said.